Works to ensure access to and the preservation of public records. GENERAL MEETINGS are held the third Monday of each month except July and August at the Portage District Library. See the Events Page for more details. WEBINARS are held the fourth Monday at the Zhang Legacy Collections Center at 1:00 pm. See the Events Page for more details and exact dates and times. SPECIAL INTEREST GROUPS meet monthly at times and locations decided upon by their members. Currently there is a user group for Family Tree Maker software users. See the Events Page for more details. BOARD MEETINGS are held the first Wednesday of the month at Portage District Library at 6:30 pm. Members are welcome to attend Board Meetings. See the Events Page for details. FACEBOOK lists upcoming meetings and special events. 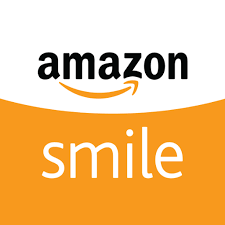 AMAZON SMILE PROGRAM is a program that allows Amazon Foundation to donate 0.5% of the price of eligible purchases to the charitable organizations selected by customers. Register Kalamazoo Valley Genealogical Society as your charitable organization at amazon.com.